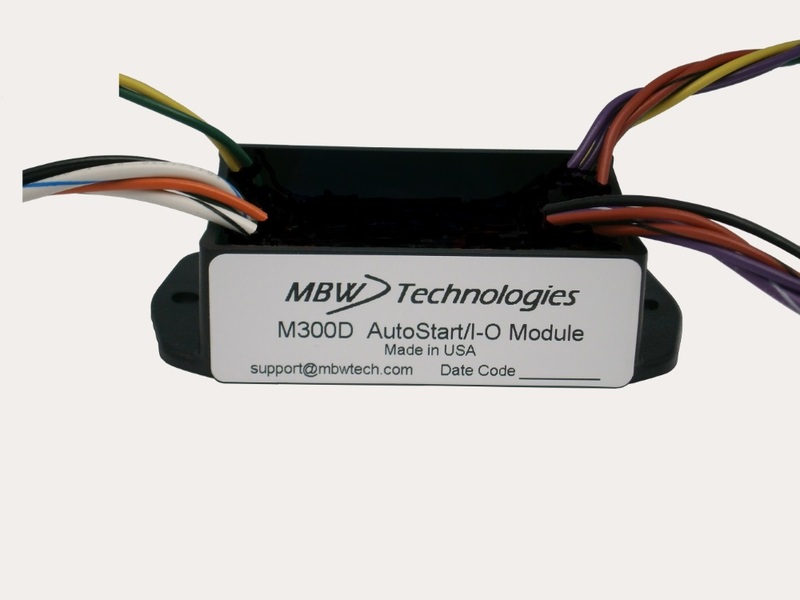 The M300DP Dual Programmable Expansion module provides both Autostart (A/S) and Input/Output (I/O) expansion capability for the M154B, M154L and M154P Series control panels. This small, IP67 module is located inside the M154 Series Control Panels and expands the capabilities with 2 additional analog inputs and 2 additional digital inputs. Two modes of control are offered. A/S mode for use in A/S applications, and I/O mode which provides remote speed control. Both modes utilize the analog inputs for sender measurement. The analog inputs can be programmed for Oil Pressure, Fuel or Water Level measurement. The additional digitial inputs are utilized for engine start/stop control when A/S mode is selected. When I/O mode is selected the digital inputs provide engine stop, engine start inhibit and remote speed control. Using CANbus communications the M300DP communicates to the M154B, M154L and M154P Series control panels providing realtime updates on system information and control.